The Zen Awakening Harmony Massage Chair offers a specialized full-body massage. The chair uses YogaFlex and LegExtender technology to help the user stretch to increase circulation and release the pressure from their aches and pains. Zen Awakening’s Harmony massage chair soothes the body and calms the mind with its revitalizing all-over-body massage. With five relaxing back massage techniques, Harmony’s lumbar range releases your muscles from pain and tightness. Harmony’s YogaFlex decompresses your spine and joints as it stretches your back, taking pressure off your vertebrae and soothing overworked muscles. And, for your waist, thighs, and glutes, Harmony’s seat massagers provide you a relaxing compression massage. Moving down your legs and to your feet, CalfMassage encourages muscle recovery and blood circulation while LegExtender provides optimum comfort for every height, extending up to seven and a half inches, customizing your massage just for you. your body throughout your massage. And access all of Harmony’s features with its customizable LCD remote. Like all of our chairs, no matter your size, Harmony’s ShapeDetect maps your body creating a massage experience uniquely tailored for you. 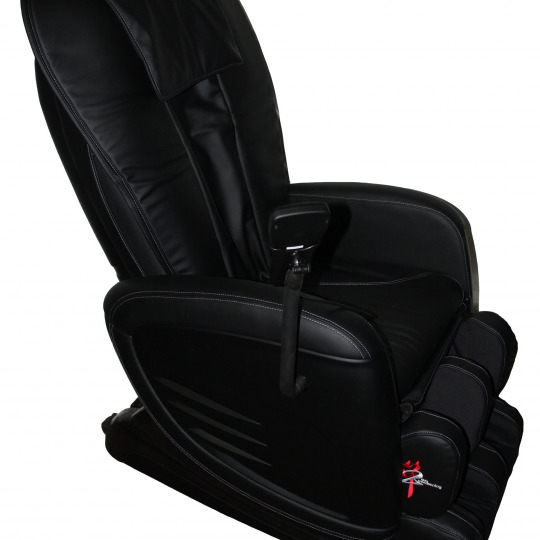 Making massage chairs since 1999, all of Zen Awakening’s products are backed with a limited lifetime guarantee. So, invest in yourself with a Harmony massage chair today.